Many of the men who served on Indiana’s early state legislature built or purchased homes in the state capitol of Corydon. One of these men was soon-to-be governor William Hendricks. Hendricks purchased this home from Davis Floyd, a treasurer and auditor in the territorial government, and later, a state legislator. Floyd built the brick home in 1817 but was soon forced to sell the home to Hendricks during the Panic of 1819. At the time, Hendricks was a popular political figure and was serving in the U.S. House of Representatives. In 1822, Hendricks was elected as the third Governor of Indiana. During Hendricks’ tenure as governor, he used this house as his home and purportedly his office from 1822-1824, right by the Corydon State Capitol Building, earning the Hendricks House the alternative name of the Governor’s Headquarters. This single story building also contained the offices of the auditor and treasurer of Indiana as well as the State’s money in the cellar in strong boxes. It was in this home that Hendricks approved the removal of the capitol to Indianapolis in 1825. In 1841, the home was sold to William Porter who served on the State Legislature. The building is in the Corydon Historic District, listed on the National Register of Historic Places in 1989. 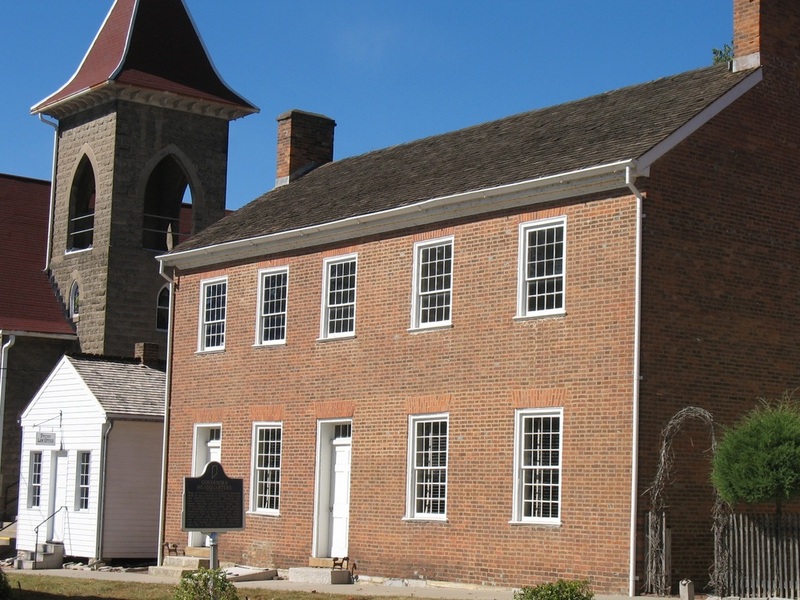 Indiana Division of Historic Preservation and Archaeology, “William Hendricks House (Governor's Headquarters),” Discover Indiana, accessed April 25, 2019, https://publichistory.iupui.edu/items/show/354. Published on Feb 14, 2018. Last updated on Apr 2, 2019.